Find out more about Debra and how she and the rest of our Hygiene Team can help you. Hmmmm that’s a tricky one… I can honestly say that EVERY day is different – and that’s just one of the reasons why I love my job! I must admit that I had never imagined a future working globally for a Denmark-based manufacturer of manual cleaning equipment. Up until that point I had a long-established career focused on food safety research, and my ambition had been to move into academia and teaching, maybe as a university lecturer. My involvement with Vikan began in 2002, whilst working in the Food Hygiene Department at Campden BRI. At the time we had a research project investigating dry cleaning techniques and were seeking expertise and equipment from dry-goods manufacturers and suppliers of hygiene equipment to those manufacturers. Vikan was one of these. As one of the world’s largest suppliers of cleaning equipment to the food industry, they not only supplied us with product samples, but also built us a bespoke robotic cleaning rig, which enabled us to directly compare the efficacy of different dry-cleaning equipment, from brushes to vacuum systems. This work led to the publication of ‘Guidelines for the hygienic design, selection and use of dry cleaning equipment’, Campden BRI 2003. Subsequently, we undertook other work for Vikan, and I came to know them and Linda Julich, their UK Managing Director, well. I liked Linda and I liked Vikan. They seemed to be genuinely concerned about developing products that worked, and that really helped the food industry. So when Linda approached me to consider a role at Vikan, I was intrigued. Initially she invited me down to the Vikan office in Swindon to meet with her and Vikans relatively new CEO, Carsten Bo Pedersen. To this day I say that none of us at that meeting really knew what my role within Vikan would be. They just knew they wanted someone to bring them closer to the food industry and help them develop cleaning tools that were industry focused. Although I was still uncertain about my usefulness to the company, Vikan convinced me to meet with their technical team, based in Skive (pronounced Skiver) Denmark and the rest, as they say, is history. I joined Vikan in August 2011, and I can’t believe that six years have now passed since I took that first flight to Denmark, and made my way up to the small town in Jutland that has become my second home (I now consider myself part-Danish even though I only know a handful of Danish words and still can’t stand licorice). As for my role at Vikan, well…, I suppose the easiest way to describe myself is as a ‘hygiene consultant’ within and on behalf of Vikan. 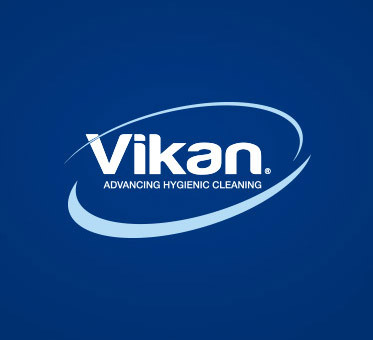 As their Global Hygiene Specialist, I support Vikan’s Sales, Distribution, Marketing, Technical and Senior Management teams with advice and training. On behalf of Vikan, and in support of the food industry, I do the same for our customers. Although I’m based in the UK, I travel all over the world, and honestly, no two days are the same! One day I might be conducting a pre-audit inspection of a small bakery; on another presenting research at an International conference; on another providing food safety training; on another meeting with specialists from research or technical organisations to learn about novel materials/investigations techniques; or on another working with the R&D team in Skive to develop and test a new cleaning product. I am also a qualified FSSC 22000 auditor, an active Committee Member of both the Institute of Food Science and Technology (IFST) and the UK & Ireland regional section of the European Hygienic Engineering Design Group (EHEDG). I also currently serve as Chair of the Campden BRI Microbiology Members Interest Group. Through involvement with all these organisations I strive to keep up myself to date with food safety and quality issues and to use this information, together with my 30+ years of food safety experience and training, to provide both Vikan and our customers with the best advice I can. Tel: +44 (0) 7500 220 139. Find out more about the Hygiene Team and how they can help you meet your hygiene challenges.